The term ‘logistics’ encompasses the comprehensive process of storage of goods as well as their transportation and handling. Even in ancient times, logistics was a science in itself. For example, the Romans maintained their own transport systems and troops specifically for supplying their legions abroad. Even today, logistics are active and visible in all areas of life. From public transportation to supermarkets directly supplied with goods, logistics decisively influence our environment and daily life. The science concerned with logistics stems primarily from economic and technical fields, but there are also philosophical and other humanities theories that apply to logistics. (SCM) describes a highly process-oriented management approach; all of the processes and components of a product are collected and finalized through it. The aim is not warehouse optimization, but rather the optimization of logistic processes relating to a product or portfolio of products. The application of SCM maximizes the effectiveness of design in order to ship the best product in a timely manner to customers while minimizing storage and other associated costs. Supply Chain Management is a separate part of the business and a modern standard in many companies that actively work to optimize their systems and processes. Logistics and Supply Chain Management are often used to describe the same business operations practices, which can be argued as technically accurate. Both methods deal with the supply, transfer, and handling of goods and people and contribute to an increase in effectiveness. But the difference between logistics and supply chain management enters into the qualitative increase through the introduction of SCM today. Logistics considers all operations holistically without a detailed look at the respective individual questions and problems. Supply Chain Management, on the other hand, is concerned with these individualized issues and takes into account the discrete processes and sub-regions necessary for the formation of the product. Due to the close intertwining of the two concepts, workers often use the “technical term” supply chain logistics without understanding that they are separate terms. 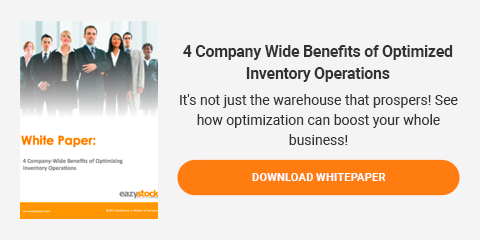 Regardless of their differences, they are both important in the warehouse when it comes to inventory optimization. Every distribution business, big or small, has to deal with internal and external logistics management. If a company depends on external factors, Supply Chain Management should be introduced. To illustrate how each is used in a company, here is an example of ways a company could use each. Say you have an auto parts distribution company. When the company was founded, vans were used for both delivery of spare parts to dealer networks and for picking up replenishment inventory from wholesalers. However, as the company continued to grow and expand, the use of vans was no longer sufficient and the needs of the company changed to include not only direct deliveries, but also storage capacity to ensure inventory availability for large customer needs. As businesses grow, the logistics and SCM model need to scale accordingly. Most distributors that experience strong growth struggle to balance the increased costs and complexities of the supply chain. From the viewpoint of logistics, the basic principle has remained the same; only storage has been added to the equation. Of course, this presents a new challenge because the business now needs to invest time and resources into planning ways to minimize the storage costs, reduce the risk of spoilage, and provide the customer with the demand they require. With the increase complexity from warehouse and storage management, the business needs to evaluate a Supply Chain Management strategy. Only with SCM tools can distributors effectively manage supply and the reduction of inventory to keep cost and risks low. SCM is most commonly managed via warehouse management systems (WMS) or Enterprise Resource Planning (ERP) systems. Supply Chain Management deals with creating solutions tailored to a company’s specific problems to find the best storage levels and maintain effective delivery. Logistics and Supply Chain Management are thus not in competition with each other, but rather complement one another. The biggest issue with both systems is the consolidation of various processes into a unified tool for the business. Launching new technology or integrating systems is time consuming and requires a great deal of change management in conjunction with user adoption training to deliver success. For example, automotive distribution companies distribute raw materials and components that flow from must flow from a manufacturing plant to be delivered to the production facility where the finished car must be made in order to make it to the end customers. A constantly changing demand and new developments in technology create ever evolving problems for distributors. Often, therefore, individual processes in Supply Chain Management and logistics are adjusted continuously through optimization software to keep the whole supply chain in check. Modern companies have to be flexible and adapt to changes that will help them avoid major supply chain problems in the future. Cost, of course, plays a major role in all deliberations, and managers face the challenge of keeping costs down through the balance of logistics and Supply Chain Management. Even now, it is clear that logistics and Supply Chain Management will continue to be the big issues that face business in the future.